Medical malpractice and medical negligence are one in the same. Medical malpractice/medical negligence generally occur when a health care provider (most likely a physician or a nurse), does something that they are reasonably not supposed to do under the circumstances, or fails to do something that they are reasonably supposed to do under the circumstances. These events are called a breach of the standard of care. An act of medical malpractice may or may not result in an injury. When an act of medical malpractice does result in an injury, a case has the added elements of causation and damage. Most firms, including the Bounds Law Group, require that an act of medical malpractice result in a serious injury before the case can be accepted due mainly to the baseline expense of investigating and prosecuting a medical malpractice case. How do I know if I or my family member is a victim of medical malpractice? Whether or not an act, or a failure to act, rises to the level of medical malpractice is to be determined by medical experts. A medical expert is a person who is similarly trained to the health care provider whose care is in question, who reviews the records and then provides an opinion as to whether or not the care rendered was within the standard of care. How long do I have to bring my case in Florida? The time frame within which a medical malpractice case MUST be brought is governed by Florida Statute 95.11(4)(b). The specific language is as follows: (b) An action for medical malpractice shall be commenced within 2 years from the time the incident giving rise to the action occurred or within 2 years from the time the incident is discovered, or should have been discovered with the exercise of due diligence; however, in no event shall the action be commenced later than 4 years from the date of the incident or occurrence out of which the cause of action accrued, except that this 4-year period shall not bar an action brought on behalf of a minor on or before the child’s eighth birthday. An “action for medical malpractice” is defined as a claim in tort or in contract for damages because of the death, injury, or monetary loss to any person arising out of any medical, dental, or surgical diagnosis, treatment, or care by any provider of health care. The limitation of actions within this subsection shall be limited to the health care provider and persons in privity with the provider of health care. In those actions covered by this paragraph in which it can be shown that fraud, concealment, or intentional misrepresentation of fact prevented the discovery of the injury the period of limitations is extended forward 2 years from the time that the injury is discovered or should have been discovered with the exercise of due diligence, but in no event to exceed 7 years from the date the incident giving rise to the injury occurred, except that this 7-year period shall not bar an action brought on behalf of a minor on or before the child’s eighth birthday. The calculation of the likely statute of limitations is fact specific in most cases. Thus a detailed analysis needs to be performed by legal counsel before a specific determination can be made. 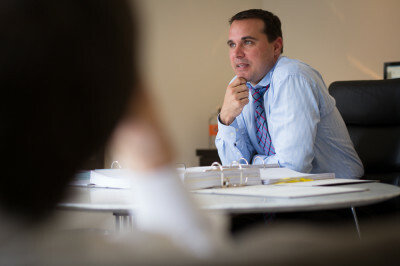 The valuation of a medical malpractice case is one of the most difficult issues encountered by our firm. We recognize that if a person is a victim of medical malpractice that they likely have a significant injury and they have suffered horribly. Further, if a family has lost a loved one due to medical negligence there can be very significant damages. Florida allows, generally, for two types of damages to be awarded in matters involving medical malpractice. Those damages are economic damages and non-economic damages. Economic damages generally are damages for lost wages, future lost wage earning capacity, past medical expenses, future medical expenses and support and services. In the case of a wrongful death, economic damages include funeral expenses, lost net accumulations, lost support and services, and past lost wages. Non-economic damages are generally for pain, suffering, disfigurement, scarring, loss of ability to enjoy life, loss of consortium, and loss of companionship and comfort. Unfortunately, Florida has some very unfair laws related to wrongful death claims. Those laws disproportionately affect our aged populations. If a person passes away and has no spouse or children under the age of 25 or dependents, there are no survivors who can collect non-economic damages. Thus in a case involving the death of an elderly widow, with no children under 25, there is no claim for pain and suffering for the adult children who lost their mother. Case valuation can often be practically limited by the amount of medical malpractice liability insurance the defendant health care provider has. Currently, a case’s value can also be affected by our current caps on non-economic damages that are in place. Florida Statute 766.118 sets forth the damage caps. Finally, a case’s value can be affected by the nature of the defendant. Some defendants are part of the State government and as such entitled to sovereign immunity. If this is the case, the case value is affected by Florida Statute 768.28. What is the process of determining if I have a case? Every case in our office starts with a referral from a fellow lawyer or a direct call to our office from a concerned potential client. Your initial contact with our office will be with a team member whose only job is to get to know you and the facts of your case. That team member will take down detailed information concerning your case and spend as much time with you as is necessary to fully understand your situation and potential case. When you call, be prepared to give the names of physicians and facilities where you received treatment as well as the best dates you can manage as to when the events and care occurred. If you are calling for a loved one, be prepared with their date of birth and contact information. We will ask for your address, telephone number and email address, if you have one. We ask for this information as we will need to contact you in the future. Once you complete the intake process, your intake information will be evaluated by Clancey Bounds, Principal Partner and Attorney, who has limited his practice to medical negligence litigation for his entire legal career of nearly 20 years. He will use his significant experience in handling cases to evaluate your potential case. He will look at the facts, circumstances and damages of your case to determine if the totality of your case meets our firm’s acceptance criteria. If your case meets our criteria, you will be sent a package of materials including documentation that will allow us to investigate your case fully. Those materials will include medical records authorizations, an authority to investigate and statements of client’s rights. There will be indications as to where to sign and a self-addressed stamped envelope will be included for you to return the materials to us. Once we receive your authorization, your pertinent medical records will be ordered and reviewed by our Attorneys. Some cases are declined at this point depending on what is actually documented on your medical records. Our declination of your case, at this point, is based upon our experience with similar cases, evaluation of damages, evaluation of potential significant defenses and medical research. If we feel that the case merits a medical review, medical experts in the appropriate fields will be retained and the records forwarded to them. The experts will then be conferenced with. If the expert feels that there was negligence and the negligence caused damages, it is at this point your case will be accepted by our firm for handling and litigation. If the expert feels that there is no negligence, you will be so informed and we will then discuss where to go from that point. Many such cases are declined and some are sent out for a second opinion. Up to this point, you do not owe us ANY money whatsoever. If we decline your case, even if after an expert review, you owe us nothing. If we accept your case for litigation, we will forward to you a Legal Services Contract for your review and signature. It is our obligation to fully explain the contract to you. We will happily do so. Our contract is a contingency fee contract as approved by the Florida Bar. On certain types of cases, depending on the risk, we may require a specific fee agreement that requires Court Approval. If we make a recovery, clients are responsible for attorney fees, attorney costs and reimbursement of medical liens related to their case. We will discuss this with you and fully explain the same.